Drama Genre Definition – What’s the best definition for the drama fiction genre? The drama genre is strongly based in a character, or characters, that are in conflict at a crucial moment in their lives. Most dramas revolve around families and often have tragic or painful resolutions. Drama depends a lot on realistic characters dealing with emotional themes. This is a beautifully well-written book about love and family and forgiveness. As an added bonus, for those animal lovers out there, the novel is about a horse farm and horses play an important role in the book. 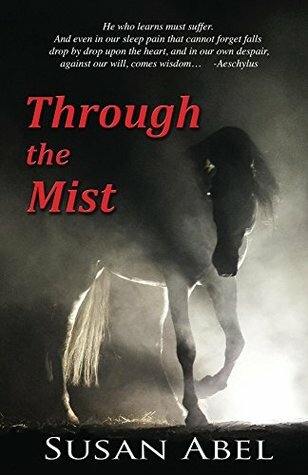 The author describes the horses in a loving way and it's apparent that animals and nature are important parts of her life. Katherine grew up in Boston with a loving father and a hateful mother who wants her to do all of the right things to impress her friends. When she first visited her Uncle's horse farm in Montana, she fell in love with the horses and went back every summer for several years. When her uncle dies and leaves the farm to her, she decides to open a summer riding camp for girls. As the novel begins 14 years after she started the camp, Katherine is suicidal - the farm is in danger of going bankrupt but most importantly she is still mourning a lost love from years before and can't seem to get beyond the loss. Also important to the plot of the novel is the terrible way that Indians were treated during this time period (mid-70s). In this book, it was the Blackfeet tribe but it was happening to other tribes at the time and unfortunately, this behavior is still going on today in our world. This is a well-written novel with three well developed main characters. I must admit, I wanted to just shake Katherine a few times because she spent too much time in the past but overall she was a likable person trying to survive a terrible event. 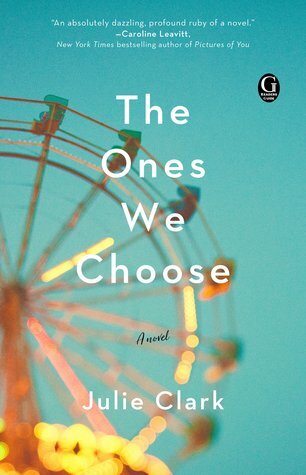 This is a wonderful debut novel about family - not necessarily the family we are genetically part of but also the family that we create out of love. The subject matter is very up to date and I could see the possibility of the same issues happening in other families. Paige's 8-year-old son wants to know more about his father which is very normal in a family that is only composed of mother and son. He is getting bullied at school because he doesn't have a dad and even though Paige's new boyfriend tries to help out, Miles pushes him away. In truth, Paige can't tell Miles about his dad because she only knows what she read about him in his application to become a sperm donor. As Paige tries to help her son out with his problems at school and in life, she finds herself finally making some friends and opening herself up to her family. There is a short chapter between each chapter in the book that explains the science of genetics and DNA. I have to admit that science is not my 'friend' and I skipped over a lot of the information in those chapters. The author did a tremendous amount of research to be sure that she had her scientific knowledge sharp to explore the issues in this book. I thought that it was an excellent book and can't wait to see what Julie Clark writes next.